Cowabunga dude! That’s how I felt when I heard Michael Bay was going to be back for another Teenage Mutant Ninja Turtles movie. I’ve always been drawn to the Teenage Mutant Ninja Turtles. I think the reason lies in the fact that each turtle is so different from the other. Much like us. We’re all different but we can all work together. With that said, let’s start this post off right. Teenage Mutant Ninja Turtles 2: Out Of The Shadows was full of fun and laughter. We heard laughter from the audience (or should I say I laughed out loud plenty of times) during the movie. There was also clapping and sounds of enjoyment coming from those attending. This time around, the movie studio Paramount Pictures got the Turtles right. The action, comedy, and dialogue was spot on for the Turtles. Not only that, I was able to pull out these leadership lessons from Teenage Mutant Ninja Turtles: Out Of The Shadows. 1. We may not be recognized for the work that we do: in the previous Teenage Mutant Ninja Turtles movie, the Turtles worked in the shadows. They took down Shredder and gave the credit to someone else. From the getgo, we can see that this movie is going to be different. Raphael opens up the movie by sharing his feelings of not being recognized. He was hurt. And that’s understandable. Leadership requires a lot of behind the scenes work. You’ll put a lot of effort into taking care of your team. They’ll never see that work. This means you’ll have a hard time claiming credit for the work. Don’t worry about this. Keep leading because leadership isn’t about the recognition. 2. You will make arrangements you may not like: You already know the Turtles let Vern “the Falcon” take credit for taking down the Shredder. He took the credit because the Turtles told him to. Later on, some of the Turtles began to resent this arrangement. It wasn’t fair, or so they felt. But they made the agreement with Vern and they had to honor those arrangements. Sometimes you’ll have to make a decision or agreement with someone that you don’t like. Yet this agreement is for the best of all involved. When you make a disagreeable agreement, honor said agreement. One of the hard truths about leadership is that being a leader makes fitting in hard. You have people looking up to you. You have people judging your actions. You have people wanting you to fail. Trying to fit in shouldn’t be your goal. Taking care of your people and getting the job done, that’s your goal. One question: Why are you wasting time talking to a grumpy old rat? The Turtles approached Master Splinter and told him Shredder’s plans. Splinter’s response is classic: Stop talking, get to doing. We, as leaders, waste so much time talking about a problem. The problem won’t be solved by talking. Problems are solved through action. 5. Being predictable can be dangerous: There’s something to be said about being consistent. This behavior allows customers and team members to know what to expect. This predictability can also be dangerous. As people begin to see exactly what you’re doing, when you’re doing it, and how you’re doing it… There’s the possibility of people seeing a vulnerability and exploiting it. You have team members who have amazing skills. And you have them sitting on the back burner. Is it time you look at your team and see who you’re not using to their full potential? This could be a game changer as you take, what you assume to be, a B or C level team member and take them to an A level team member. Baxter was in a pinch. The Turtles had intercepted Shredder and was trying to prevent his escape. Having to think quickly, Baxter called an audible. He changed the plans and helped Shredder escape. Our plans won’t go according to spec. We will face unexpected, or even expected, complications that change the game. Roll with these punches. Modify your plan and march forward. 8. There’s more going on than you can see: When Baxter called his audible, he was able to pull Shredder through a teleport tunnel. The Turtles didn’t see what happened. Well, more accurately, they couldn’t see what happened. This action took place so quickly, the teleportation was over in the blink of an eye. Every organization and church have a lot of moving parts. Sometimes you won’t see what’s going on in every aspect of the business. And you shouldn’t. Just know there are parts moving. 9. Leaders have a vision: Casey Jones, the masked hockey stick carrying vigilante in Teenage Mutant Ninja Turtles, had a dream. He wanted to go from police officer to police detective. He had a vision. He knew how to get there. And he wanted the promotion. As the Bible says: Without vision, the people perish. I don’t know about you, but I can’t think of many organizations that have succeeded despite a fractured team. The best organizations out there have a cohesive team that is willing to work together. 11. There are people you don’t know who are willing to help you: The Turtles tried to stop Shredder’s escape. They failed. But they found a new ally. And so did Casey Jones. Like Casey Jones, you may be struggling. Only to find yourself being helped by an unknown person. There are lots of people who are cheering you on. They want to see you succeed. They’re even willing to pitch in if their help makes a difference. Allow those who want to help you, help you. I believe this is a tough lesson to swallow. Sometimes you’ll have multiple people wanting change. That change isn’t for the best and you have to say no. This is why knowing the vision and direction of your organization is so important. If you don’t know where you need to go, you won’t be able to say no the unnecessary changes. 13. There is a time to be known: The Turtles made a choice to stay in the shadows for a long time. They knew that showing themselves would be a bad thing. People would freak. There would be hate and fear. Pandemonium could occur. You may experience the same dilemma: When do I stand up and say that I’m a leader? 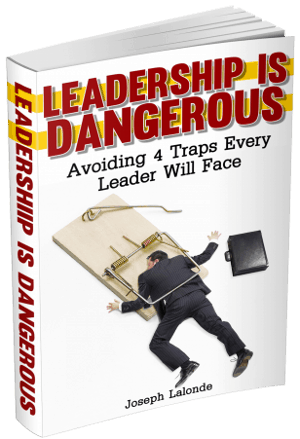 While you won’t see pandemonium or chaos, stepping into a leadership position can be scary. Do it anyways. There’s a lot of unknowns out there. This makes people fearful. Help alleviate some of the fear by being open and honest about the health of your organization. Don’t keep people in the dark unnecessarily. 15. Different points of views make a team stronger: The Turtles, as a group, are very similar to your organization. There are varying voices wanting to be heard. Some of those voices dissent from the leader’s ideas. But those differing points of views made the Turtles team stronger. They added to the conversation and helped make wiser decisions. The same goes with your organization. Don’t shut someone down because they disagree with you. Listen to them and see if they have a valid point. 16. Leaders have to action: Raphael struggled with jumping out of the airplane. He let fear slow him down from taking action. Don’t let fear and anxiety prevent you from taking the actions you need to take. To the leaders who don’t feel like they’re leaders: There are people who think you are. There are people looking up to you. There are people waiting for your guidance. Stop waiting. Be the leader people think you are. 18. Bad leaders want the credit for the work others have done: After all the hard work Baxter Stockman had done, Shredder was done with him. He had his henchmen take Baxter away. Shredder was going to be the one to get the credit. Bad leadership example all the way here. Bad leaders want credit. Good leaders know the credit goes to the team. Too many leaders think leadership is all about getting things done. They forget there is an emotional intelligence aspect to leadership. Leaders need to be able to see and sense the emotions of those they’re leading. Doing so reaps huge dividends. 20. Teams can struggle to see the value each member brings: We’re all so unique and different. Every person brings something unique to the table. Seeing this is difficult. Appreciating these differences can be even harder. Yet this is what makes a team great. Our differences, combined (kind of like Voltron), makes us stronger. Normal… what fun is that? There are so many leaders who want a mold for leadership. Then they want to fill the mold exactly. Like Raphael said, what fun is that? When we become cookie-cutter leaders, we no longer lead. Use your uniqueness to lead in your own special way. Question: Have you seen Teenage Mutant Ninja Turtles: Out Of The Shadows? If so, what leadership lesson did you take away from the movie? If not, what leadership lesson that I shared from Teenage Mutant Ninja Turtles: Out Of The Shadows did you enjoy most? Share your favorite lesson in the comment section below.